Quality Improvement (QI) interventions are used extensively to solve problems associated with the quality, effectiveness and efficiency of healthcare. However, outcome assessments show strong variations in the success of a given QI initiative across organizational settings. Therefore, a growing body of research focuses on the interplay between interventions and their context of implementation. This chapter builds on the healthcare and organization literature to illustrate, through the concept of affordances, the complex dynamics that accompany the introduction of technological innovations in organizational settings. 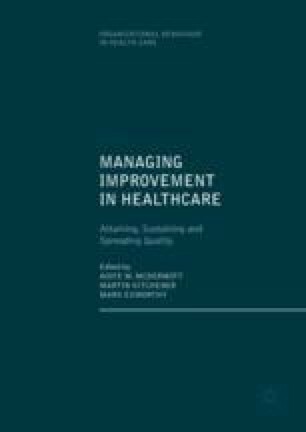 Insights to complement existing healthcare models for the systematic analysis of QI interventions, such as MUSIQ and SQUIRE, are proposed. In particular, greater attention to the implications of intervention design for the enabling and constraining properties of QI technologies is suggested in order to improve the reporting of QI implementation.